Email Sue via the Benefice Office or use the Contact Form. Alternatively telephone 01227 786109. Email Jayne via the Benefice Office or use the Contact Form. Alternatively telephone 01227 786109. Email Rachel via the Benefice Office or use the Contact Form. Alternatively telephone 01227 786109. Mary is Churchwarden at St Mildred's. She has been a member of the Church of England all her life and has worshipped in many different churches across the country. Email Mary via the Benefice Office or use the Contact Form. Alternatively telephone 01227 786109. 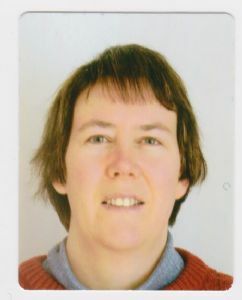 Mrs Carolyn Farrar MA, MSc, MCILIP - Churchwarden, Benefice Administrator, Retired Chartered Librarian, Anglo-Saxonist and ailurophile. Email Carolyn via the Benefice Office or use the Contact Form. Alternatively telephone 01227 786109. The Benefice Office is open on Monday, Tuesday and Thursday from 10.00 - 13.00 hrs. Friday 10.00 – 13.00 hrs by phone or email only. Barbara Grace - St Mildred.